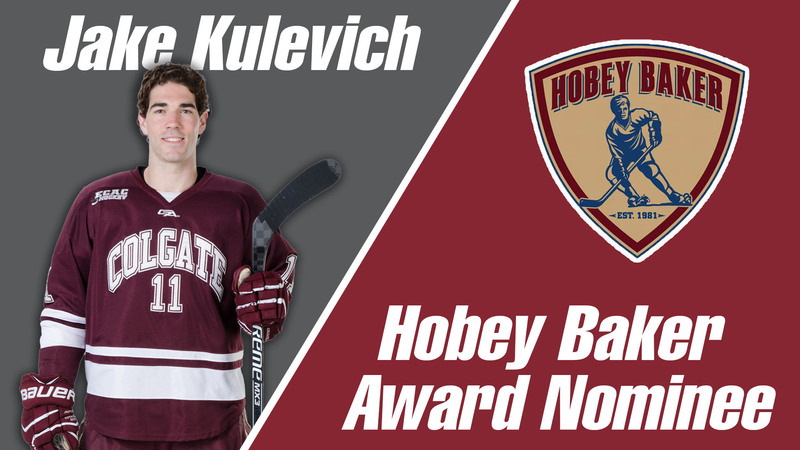 Vote Jake Kulevich (Colgate) for the Hobey Baker award. The Raiders' captain is on pace for a career year, accruing 14 points on three goals and 11 assists. Kulevich's 11 assists are tied for his career high while his 14 points are one shy of tying his career-high and his three goals are just two shy of tying his career-high. Kulevich is tied for the team lead with 14 points and his 11 assist are the most on the team, both of which are tied for ninth among defenseman in ECAC Hockey while his 40 blocks are 13th.